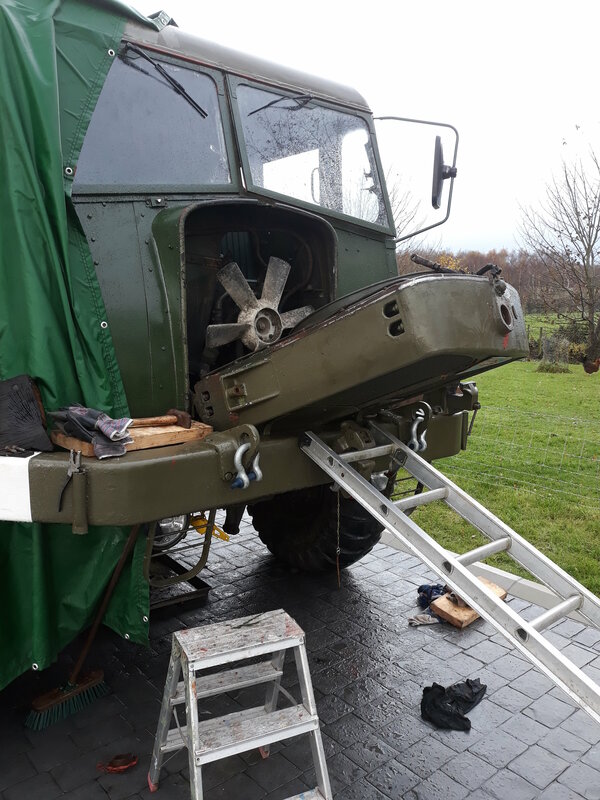 After a few week's hard graft trying to remove the steering box, I decided it would be easier for freedom of access to remove the radiator, another long job. The hardest part being the two mounting bolts, but once these were free I was on a roll. 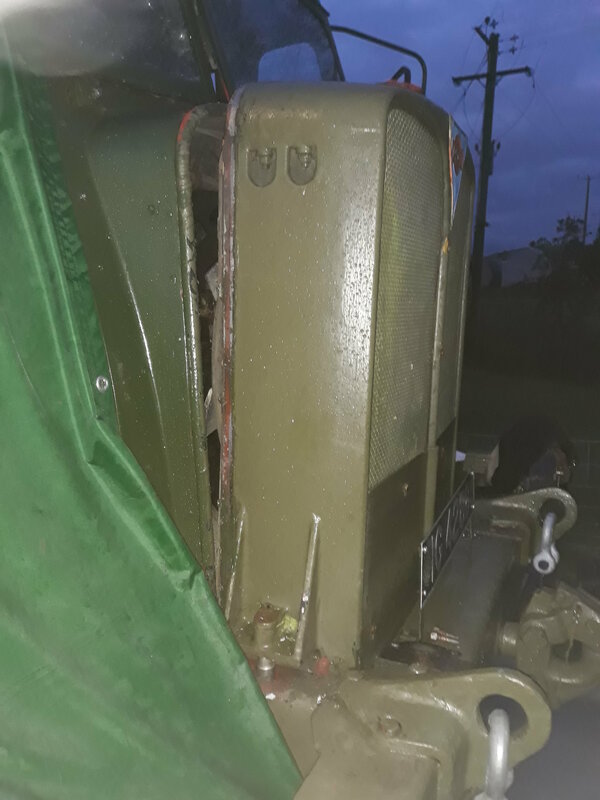 Definitely a mechanical lift due to the weight of the radiator, but I am operating under battlefield conditions and the radiator slid down the ladder at a good controlled speed, it will require a different technique on refitting. With the radiator off, I will have the opportunity to give the front end of the engine a good cleaning and to change all the radiator hoses as a form of preventive maintenance. It was a piece of cake to remove the last two steering box bolts, so it was a good move. The steering box came out through the cab with a few groans from my back, and once out it was down to the shed, followed by a good wash in petrol and the 6 nuts removed on the access panel and I drained off the oil, then it was opened up, to see how I was going to remove the steering worm shaft. 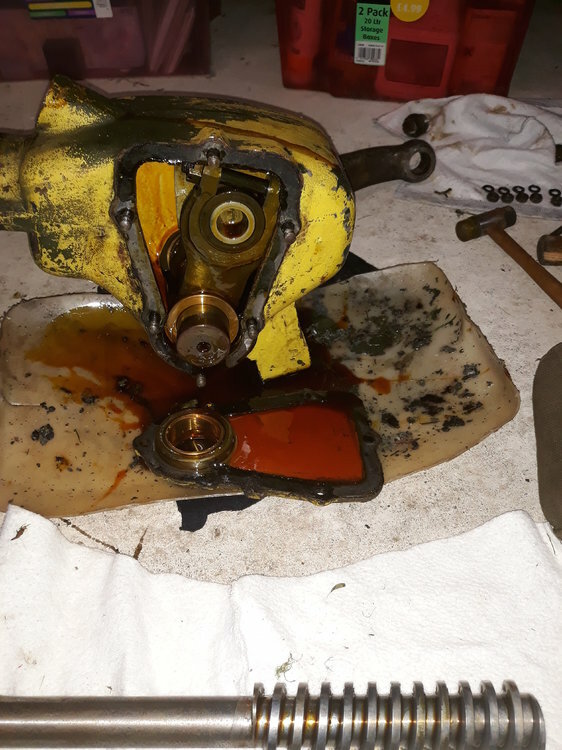 I should have read the book (EMER Wheeled Vehicles D 152) first; as it states once the oil is drained " The steering worm shaft can then be unscrewed." This had me thinking could it have been taken out without the removal of the steering box, but it is trial and error, I am also thinking maybe the steering worm shaft would have hit the cab roof before it had cleared the steering column. 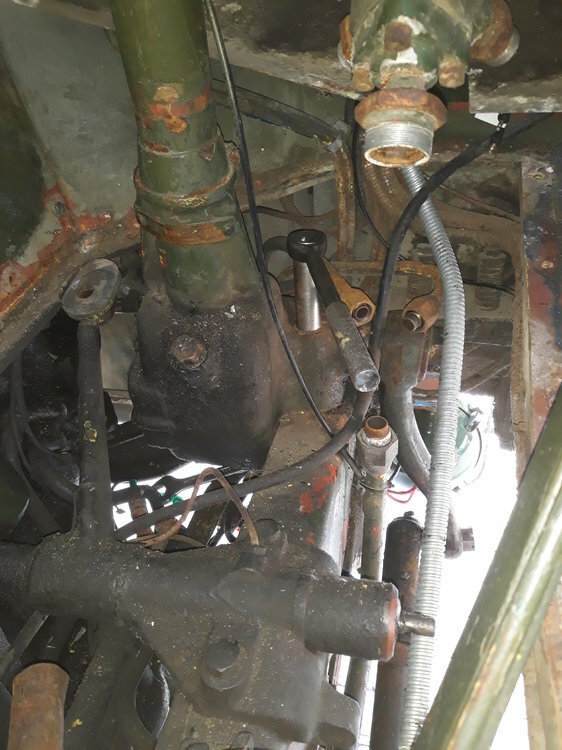 I must remember to measure the length of the steering worm shaft prior to refitting it to see if the cab roof would allow the removal/clearance.The steering worm shaft was taken to the local engineering firm to get the threads re taped to allow the bearing cage to screw on correctly. 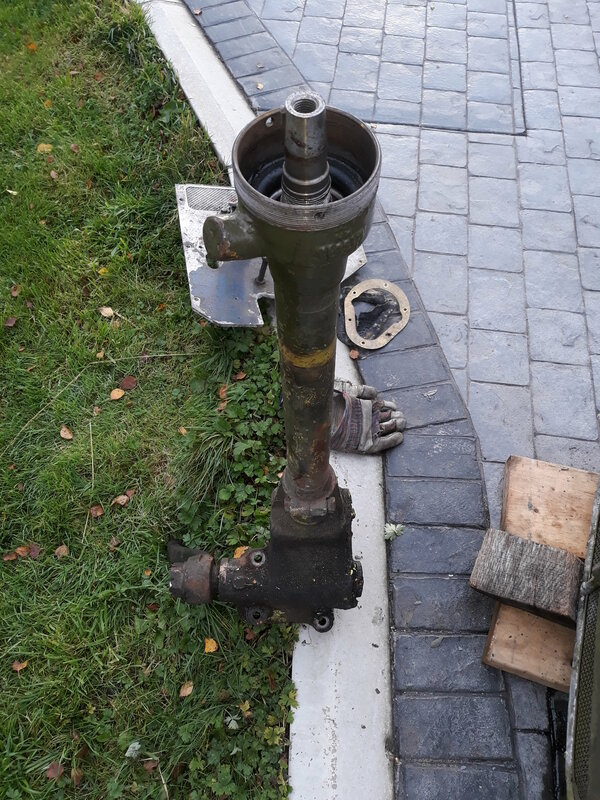 I am now cleaning up the steering box and getting it ready to refit after the engine has been cleaned to a high standard along with the radiator. The EMER Wheeled Vehicle book states the steering box takes 2.27 litres of OC 600, never came across this on Tanks or Stalwarts, any one know of the civilian equivalent? Lot of hard work to get it fixed, hope it works after all that effort. If I remember rightly OC600 was used in Centurion gearboxes, so I guess Hutch 3674 is a young whippersnapper with experience of more modern vehicles. Great work on this old girl, so good luck with it.